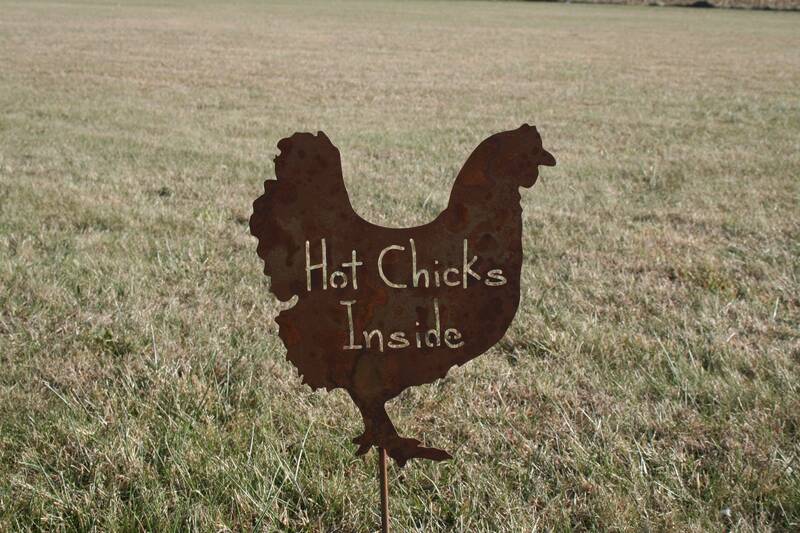 Rusty Chicken reads Hot Chicks Inside! Great gift for any gardener, poultry grower or farmer. The sign is tall enough to stand at the entrance to your chicken coop or your home. Small enough to place into a large garden planter as well. This hilarious chicken stake is roughly 23" tall including the stake. The chicken 11 3/4" tall itself and includes a half-moon kicker at the base to prevent spinning or turning in the wind. This rustic chicken coop yard art is light-weight yet sturdy. 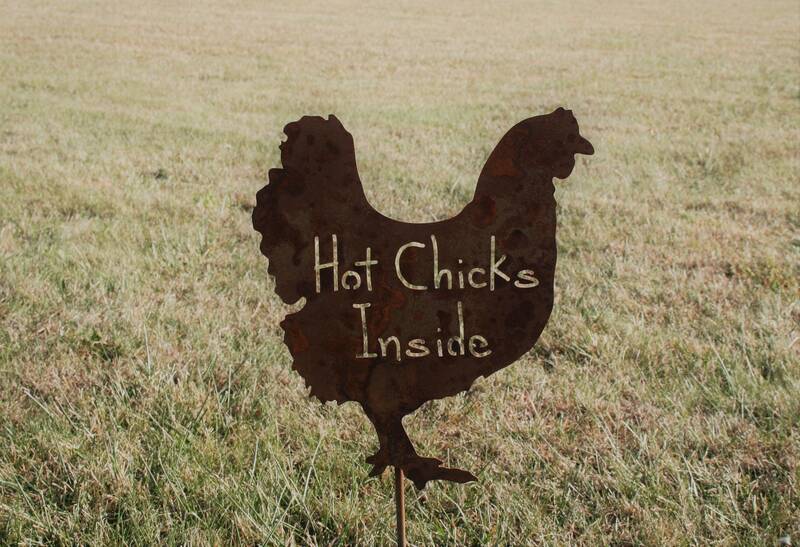 The hen house yard sign is cut from thick steel and welded onto a steel rod. Rusted chicken stake will add the perfect charm to your landscape or garden. Great addition to the new chicken coop! Also makes a great gift for your neighbor or favorite gardener! We hope you love this squirrel stake as much as we loved creating it! Sent to my son that raises chickens (among other things)...he LOVES it!! Super fast shipping! Thank you! LOVE IT! A Christmas present for a friend that raises fancy chickens :) So cute!